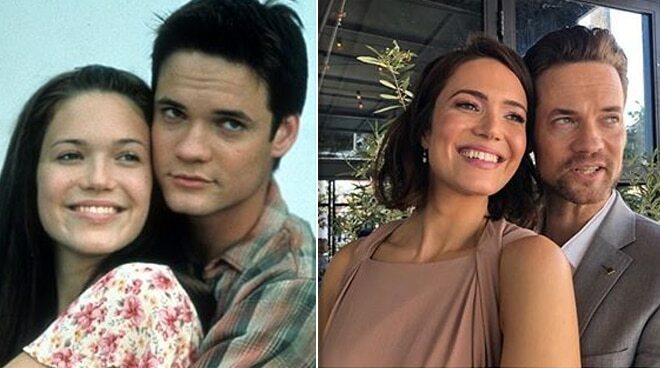 A Walk to Remember stars Mandy Moore and Shane West were reunited for Mandy's Walk of Fame Star Ceremony in Los Angeles on Monday, March 25 (US Time). The actress posted a picture of them together, recreating a photo from their hit romance movie. Mandy wrote on Instagram, "Stars have always sort of been our thing. Thankful to @theshanewest for his kind words on this very special day, one which I will never forget. It was a walk (of fame) to remember." Meanwhile, Shane expressed how proud he is of his former co-star via social media. "One heck of a day for this lovely woman. Couldn’t be more proud of you @mandymooremm. Never stop smiling," he said.